Accounting Firm Serving San Diego, California Since 1994. Bryan Esry graduated from San Diego State University in 1994 with a Master of Science in Taxation. He is a Certified Public Accountant (CPA) and a member of the American Institute of Certified Public Accountants and the California Society of Certified Public Accountants. After working for several large local CPA firms in San Diego, he founded his own practice in November 2002. Bryan has been married to his wife Linda for over thirty years. They enjoy camping, kayaking, and spending time with their dogs. 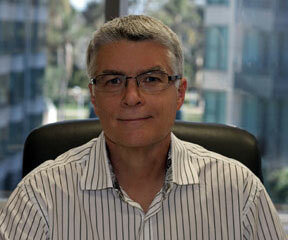 Bryan has been providing accounting services in San Diego California for over 25 years. He specializes in tax planning, consulting, and compliance for individuals and small to medium sized businesses. He has extensive experience in developing tax minimization strategies, business entity selection, audit representation before federal and state taxing authorities, and business transaction planning. Call Bryan or contact us now to for a free and confidential 15 minute consultation. Talk briefly about your challenges and opportunities. Cover the financial areas in which you wish to improve or change. Get to know each other, and see if we’re a good fit to work together. Bryan provides individuals and small-to-mid-size businesses with tax and accounting services tailored to their individual situation. He believes in empowering his clients to take control of their finances. As a Certified Public Accountant (CPA), Bryan believes that it is essential for business owners to “know their numbers”. Great businesses can go bankrupt by not understanding their true financial situation. As a business owner you need to know what your income statement, balance sheet, and statement of cash flows are telling you. Bryan can help you put all of the pieces together so you can make informed decisions on how to move your business forward. Bryan provides the personal service that a large firm can’t provide. With more than two decades of professional tax and accounting experience, Bryan can provide innovative and customized solutions to your situation. Bryan offers high quality tax and accounting services in a timely manner and at a competitive rate. Bryan loves what he does. Just speaking to him over the phone, you’ll immediately get a sense of his commitment and passion to help motivated business owners like you achieve your business goals.